In 2012 our beloved dog who was 12 years old passed away in his sleep, it was very peaceful but extremely sad for our then 10 year old, actually for all of us. But she was quite inconsolable for some time, but in the last few months, since late last year, has begun moving beyond his passing and expressing a desire for another play mate and companion. Not long ago friends of ours who live on a property found both their dogs pregnant unexpectedly and only 2 weeks later their dogs gave birth to beautiful little bundle of new puppies. Funny how life sometimes gives you a gift, our family friend, RIP Malibu, was a husky cross. The mother of the new pups is a husky too, although a full breed, but of course the father is not, considering it was an accident from the father escaping from his yard and rampaging the female dog population in his area, hence the reason both their female dogs gave birth at the same time. Ironic just how well things can sometimes work out without us even trying. So now we are adopting one of these little babies. The pups are coming up to 7 weeks old soon and around that time we should be able to start considering bringing him home. Luckily for our daughter, the pup is coming from very good friends, who have been more than happy to allow her to visit our little baby every week and she is very much in love. 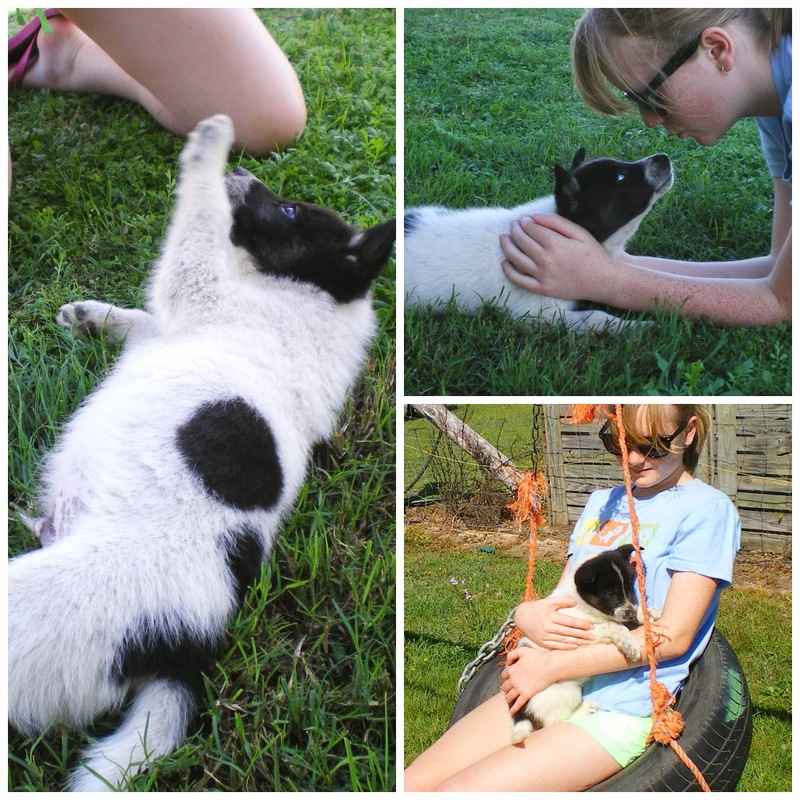 He is a cute little bundle, we have named him Tux, short for Tuxedo as he is all black and white. Here are a few shots of him in the last week having a little bit of fun with his new mum.